This is gaming news for December 5 through 9. That’s it. We’re done. Dead Rising 4 released this week, and that’s (as far as I can remember) the last big tentpole of 2016. Time for everyone to pick out their Game of the Year lists and settle in for a nice winter’s nap—and maybe a chance to catch up on your backlog, finally. There’s still news though, mostly of the “Prepare for 2017” variety. This week Battlefield 1 adds a Grenade Crossbow, Fallout gets the pinball treatment, someone builds an Atari 2600 in Minecraft, and Sean Bean finds out he died in the Civilization VI trailer. Apparently nobody told him. Before the onslaught of paid Battlefield 1 DLC starts flooding out, DICE is giving away a map to everyone for free. 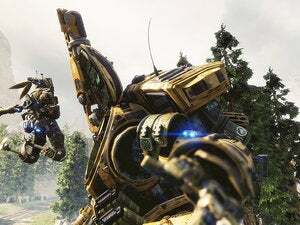 Starting December 20 (or December 13 if you preordered), you’ll be able to play Giant’s Shadow, which looks like it takes place next to a crashed zeppelin. More importantly: It adds a Grenade Crossbow to your arsenal. Despite seemingly nobody on the planet being especially interested, Gearbox really wants to make Battleborn a thing. To that end, Gearbox is switching up some of the game’s core systems next week for the Winter Update—making all 25 characters unlock from the get-go, retooling the story mode to be a more directed experience, changing the interface, and more. But seriously, that free-to-play update has to be coming soon, right? Right? Fallout, Skyrim, and Doom...pinball. If that idea gets your blood pumping, then it’s time you look into Pinball FX2’s latest set of tables, all based on Bethesda’s games. Me? I’m not really one for virtual pinball, but this seems pretty great. Rare’s new game Sea of Thieves was one of my favorite experiences at E3 2016—drinking grog, shooting off cannons, playing a jig as our ship went off to war, and generally having no idea what we were doing. Some excellent news, then: The game is gearing up for its first public test phase soon. Stock up on rum. Runic, the folks behind Torchlight, have a new game coming soon—a Zelda-style adventure called Hob, and it’s one of the games I’m anticipating most in 2017. There’s been some footage in the past, but this 24-minute demo is easily the most revealing look at the game so far. I highly recommend taking a look. If you need more Shadow Warrior 2 in your life, Flying Wild Hog’s ready to deliver. This week the developer launched its first free update, “The Way of the Wang.” Get slicing and dicing. But does it play E.T.? I thought I was long past the point of reporting on “Someone built something in Minecraft.” Those stories were done to death years ago, and like, we get it. You can build things. 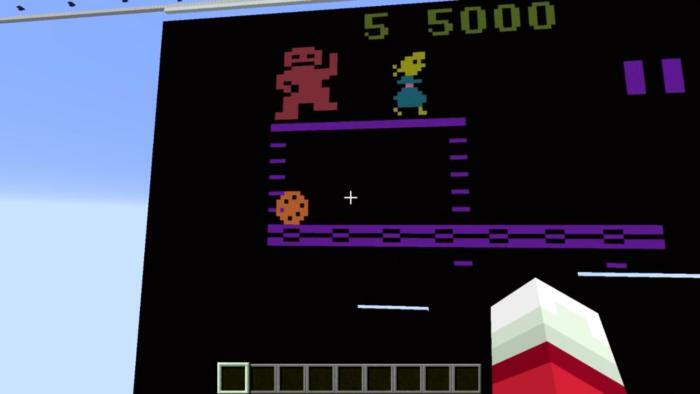 But then someone went ahead and built a working Atari 2600 emulator inside Minecraft. That’s a bit different. YouTube’s SethBling created the emulator using 2,000 command blocks, without the use of any mods. The only problem? Well, it only outputs at 15 frames per hour—about the same as an Xbox One, or so I’ve heard.